Easily repair OIL PAN stripped or leaking threads! 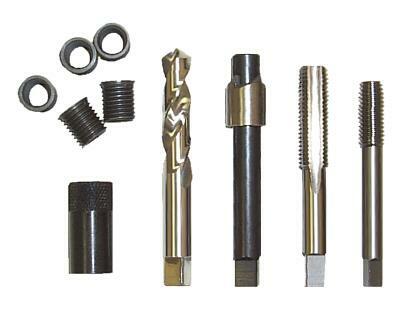 Thread Repair kit sizes below will repair that drain plug size. Steel threads are approximately 3 times the tensile strength of aluminum. 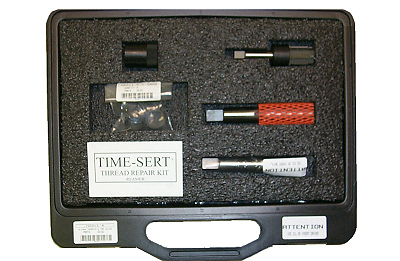 These kits can be used in any vehicle where the size is available. Notes: How to minimize chips when repairing on vehicle. Notes: Using 12 point sockets to hold squares on tools. Use with 6601215C 6601217C 6601212C 6600122A kits. "Driver tool required to use cutter"
GM , Ford and Mazda aluminum Oil Pans. 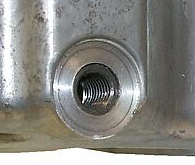 If your M12x1.75 oil drain pan already had a failed helicoil, the only option we can offer is to use the M14x1.5 drain plug kit p/n 6601415A to enlarge the thread size from the factory M12x1.75 to M14x1.5. You will need to purchase the larger M14x1.5 drain plug and washer from your local parts house. Volkswagen, Chrysler, Mazda and others. with the long 6" drill included. Used to clean seat if leaking or not square to hole. 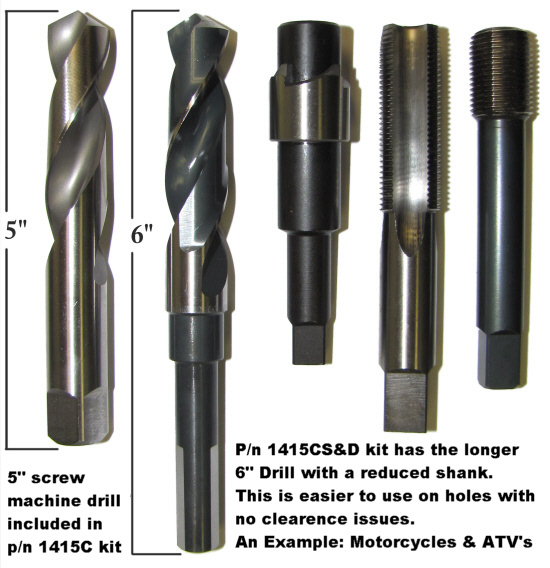 Use with 6601415C or 6601515A kits. A new drain plug M12x1.5 is required from Honda.